Who was D.B. Cooper? Did Lee Harvey Oswald really act alone? What happened to Jimmy Hoffa? The world is full of mysteries. The big ones have certainly gotten their share of attention, but what about the little ones? Everyone has encountered one of these in their lives at one time, and they can really drive you nuts trying to figure them out. I had one myself a few years ago when I came home to find five huge dragonfly-shaped Mylar balloons tied to my back porch with colorful ribbon. Everyone I knew denied putting them there, and I was inclined to believe them. It was a real head-scratcher, and one that tormented me for some time. I of course decided that the culprit was a sadistic clown killer marking me for later death. But that’s just me. Unless you were living on the moon this past fall, you heard about Serial, the podcast tour de force that everyone from your mom to the guy who rotates your tires could not stop talking about. Serial fans by and large became very invested in the case against Adnan Syed for the murder of Hae Min Lee, and were left at the podcast’s conclusion with more questions than answers. Always more of an attempt to tell an engaging story than it was to give a detailed play-by-play, Serial made for riveting podcasting, but it was often frustratingly short on details. 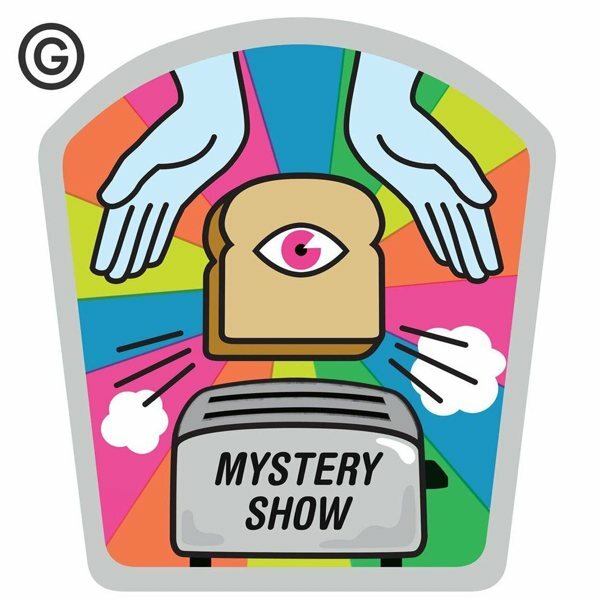 In its wake, a new podcast has emerged promising all the details you can handle (and probably a fair bit more). Undisclosed: The State v. Adnan Syed, hosted by attorney Rabia Chaudry, seeks to tell us all much more about the case, but with one very important caveat: she fully believes Syed is innocent. Welcome to the Addison Recorded, the official podcast of the Addison Recorder. For season one of the podcast, Meryl and I are re-capping episodes of Unbreakable Kimmy Schmidt, the latest original series from Netflix. Join us Tuesday and Thursday mornings in the PodFort™ (aka, Gina’s dining room blanket fort) as we talk about each episode of the show starring Ellie Kemper. 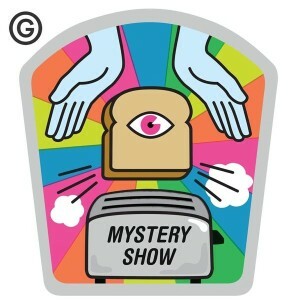 Our 12th episode is now available on iTunes! We’re excited to share it with you. Find the Addison Recorded on iTunes and be sure to subscribe, rate and review! Welcome to the Addison Recorded, the official podcast of the Addison Recorder. For season one of the podcast, Gina and I are re-capping episodes of Unbreakable Kimmy Schmidt, the latest original series from Netflix. Join us Tuesday and Thursday mornings in the PodFort™ (aka, Gina’s dining room blanket fort) as we talk about each episode of the show starring Ellie Kemper. Our 11th episode is now available on iTunes! We’re excited to share it with you. 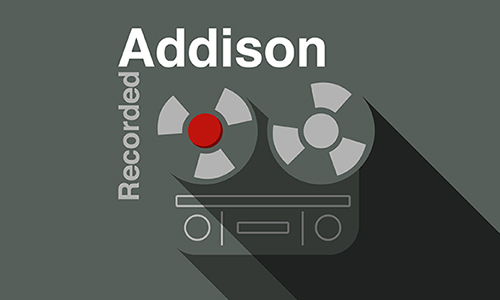 Find the Addison Recorded on iTunes and be sure to subscribe, rate and review! Our 10th episode is now available on iTunes! We’re excited to share it with you. Find the Addison Recorded on iTunes and be sure to subscribe, rate and review! Logo made by Owen Williams. Our ninth episode is now available on iTunes! We’re excited to share it with you. Find the Addison Recorded on iTunes and be sure to subscribe, rate and review! Our eighth episode is now available on iTunes! We’re excited to share it with you. Find the Addison Recorded on iTunes and be sure to subscribe, rate and review! Here’s our seventh episode! We welcome guest Alex Bean and we’re excited to share this episode with you. Find the Addison Recorded on iTunes and be sure to subscribe, rate and review! Here’s our sixth episode! We welcome guest Tahiti Arsulowicz and we’re excited to share this episode with you. Find the Addison Recorded on iTunes and be sure to subscribe, rate and review! Here’s our fifth episode! Big thanks for fellow Recorded writer Kevin Triskett for joining us for this one. We’re excited to share it with you. If you listen to us on iTunes, be sure to subscribe, rate and review!